soundtrack this. | wull hay. December 14, 2010 December 14, 2010 / rach. ‘Tis the season for music. Christmas Music — YES. [and, boy, do i love it.] But, other music as well. Well, except for on KHOL this morning. We had a problem with our signal and it was dead air for a bit this morning as well as most of yesterday. So no Morning Scramble this mornin’. I have some very much new favorites on here. 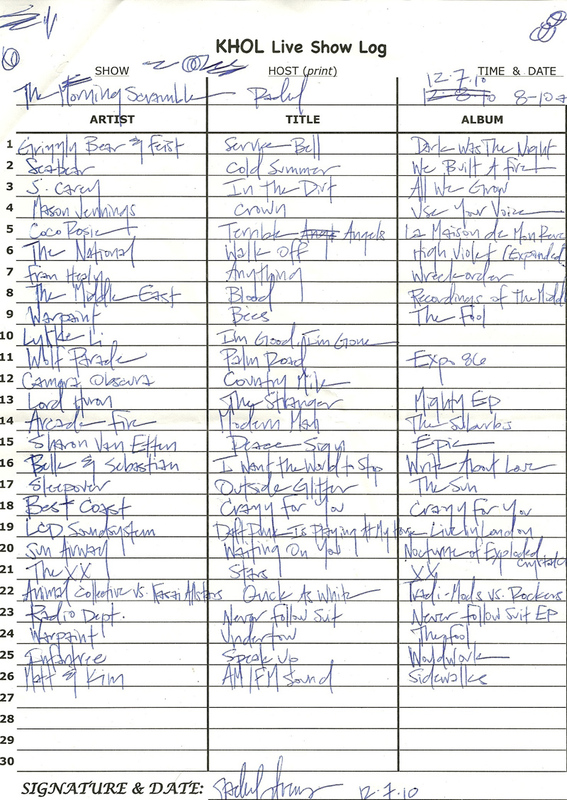 Some were played at the KHOL Mixer… which was a BLAST. So good to have so many music lovers in one room… especially those who are passionate about community radio. Awesome. …I took my turn as DJ for a hot second of the night and lemme tell ya, it was so much fun! Unfortunately, I decided to wear a glorified potato sack that almost gave a peep show every time I bent over to play around with knobs and keys, but all in all, ’twas a super delightful experience. 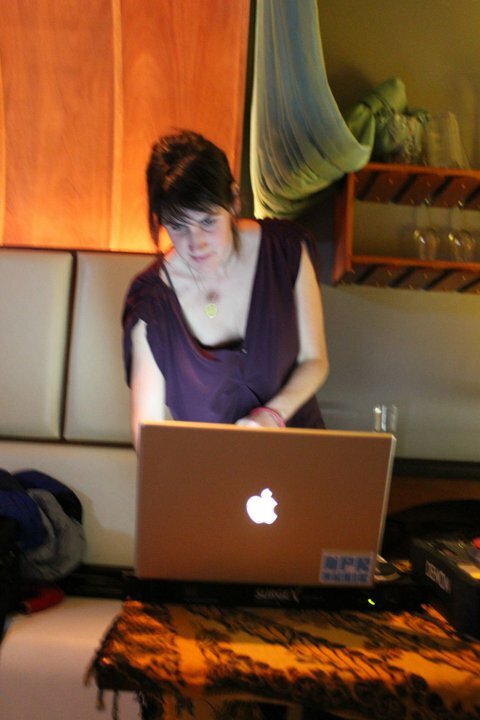 I didn’t do much, but it made me want to really learn to be a real-life DJ… Goal for twenty ‘leven? YEP. note the texas license plate in the background... oh, texas love. I LOVE it, Pops. Thank you thank you thank you! 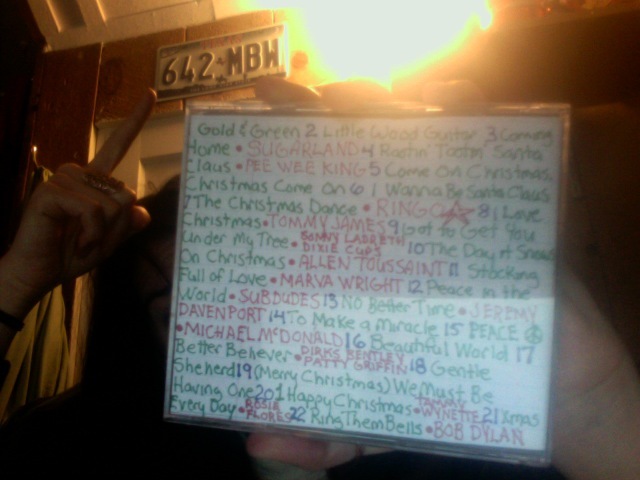 I know that Christmas wouldn’t be complete without a holiday CD mix from my dad, but I always am surprised when it comes. It’s always so heart-warming and overwhelming with love… My cup runneth over. For other holiday music listening, I highly recommend the Sufjan Stevens (Holiday) Pandora station, which my incredible friend, Jared, shared with me. The part where the second guys goes, “I-yi-yi-yi’m dreaming of a whiiiiteeee… CHRISTmas!” Just can’t help but smile… so big! May all your favorite tunes turn up and help you soundtrack this wonderful time of year. amazing friends., hollerdays., khol., love., magic presents., morning scramble playlists., tunes. ← that whole reading/reader situation.